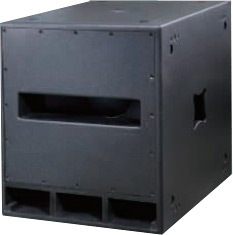 Martin Wisman subwoofers are legendary the world over for their extended low frequency response and high-impact "punch." They provide massive output yet are extremely musical, due in large part to rigid enclosures and advanced transducer designs. Most models use powerful drivers. Integral pole available to support one mid-high or full range loudspeaker.